It’s possible the new model could be a bagger or a tourer like the Springfield or Roadmaster, but the Raven name hardly conjures up images of a heavyweight motorcycle. The use of a bird, especially a relatively small one like the raven, would suggest something much smaller and lightweight. That leaves us with the FTR1200. 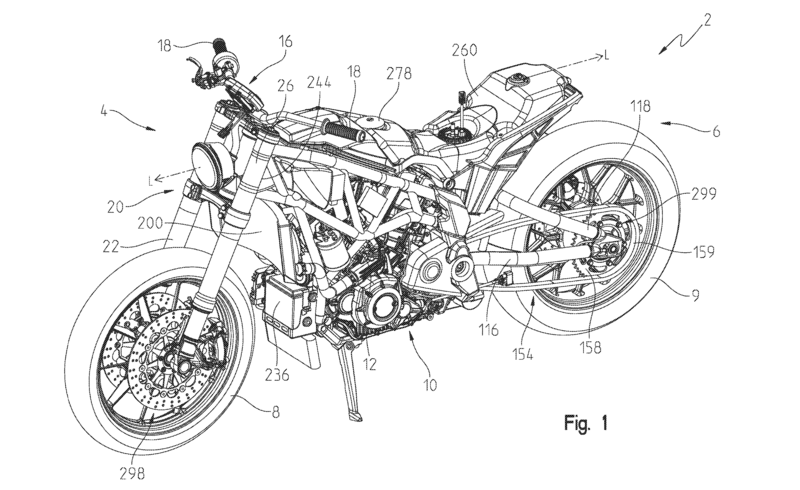 We originally assumed this drawing represented the FTR1200 but the production model uses a slightly different trellis frame and shorter side pivot plates. Could this end up being the Indian Raven instead? We know from Indian’s patent filings that the FTR1200 was just one configuration of what was conceived as a new modular design. The patent describes a compact arrangement for an airbox above the engine and an underseat fuel tank that can be used in different configurations. A key aspect of the modular design is the placement of the airbox (#242) and underseat fuel tank (#260) that can fit with different frame designs. The patent showed multiple variations on the trellis frame and side pivot plates, accommodating engines with different mounting points. 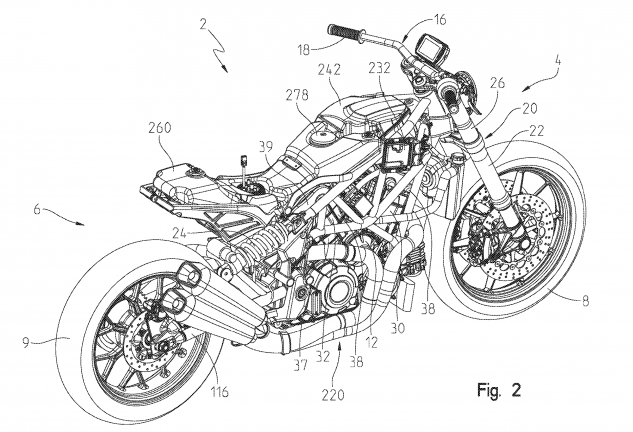 According to the patent, the modular design could be used for different setups, from cruisers to standard motorcycles, and possibly even sportier bikes. What’s interesting about Stenegärd’s statement is that we usually picture Indian as a brand tied to its rich heritage; that is, after all, the biggest thing that separated Indian from Victory. Stenegärd is saying that Indian can venture into waters without history being an anchor. Stenegärd comes from a background in customs and choppers, but before he joined Indian, he worked for BMW and was one of the key figures behind the S1000RR. 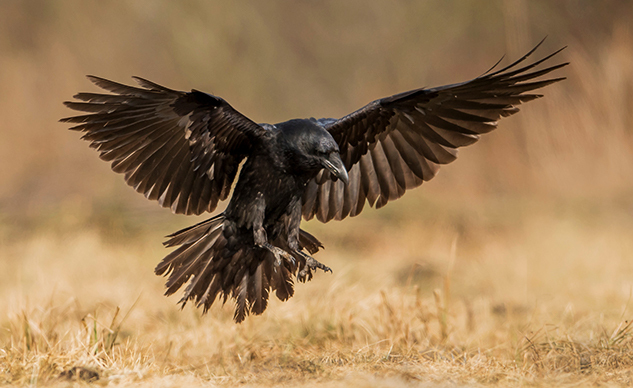 Still, a raven doesn’t convey the sense of speed or aggression you’d expect for a sportbike. What’s interesting about Stenegärd’s statement is that we usually picture Indian as a brand tied to its rich heritage; that is, after all, the biggest thing that separated Indian from Victory. Stenegärd is saying that Indian can venture into waters without history being an anchor. No, the more likely answer is the Raven will be another cruiser, blacked out to reflect its namesake, but hopefully with a sportier side, a competitor to the Ducati Diavel perhaps. A streetfighter is also possible, again with a blacked-out theme. All of this is, of course, just speculation, and we won’t know for certain what Indian has planned for the Raven until we hear something official or more clues come to light. UPDATE: On Jan. 8, 2019, Indian filed another trademark application for the name “Indian Renegade”. And in February, Indian filed new trademark applications with the USPTO and the EUIPO for a stylized “R” logo (see below). This may be related to either the Raven or Renegade names, or possibly both if our theory that the two may share a common platform holds true. Indian filed a trademark application for this “R” logo in the U.S. on Feb. 21 and in Europe the following day.